The strange sounds from the sky are back again. They were recorded in May in California, Minnesota and Southampton. 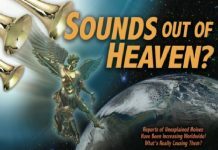 A mysterious noise from the sky is continuing to baffle people all over the world – as well as giving those who hear it sleepless nights. 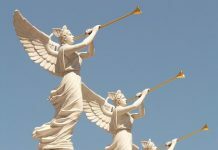 Sounding like a trumpet or a collective from a brass section of an orchestra, a selection of videos shot from the Canada to Ukraine, via the U.S., Germany and Belarus show strange goings on above us. And the eerie sounds have been continuously heard at all different times and locations for almost a decade. What do you think those are? This is not the noise of train for sure. People living around or near train track know the noise and accustom to it. They do not feel strange when they hear everyday noise. Alex Collier was told by people from Andromeda Galaxy that Galactics are going to go for the plan of the book of revelation. 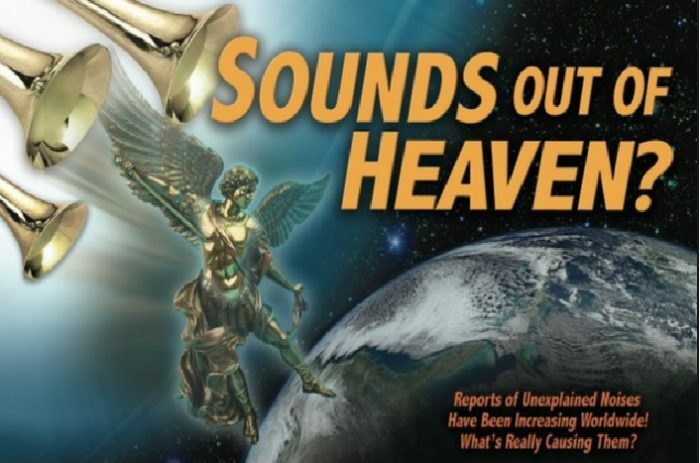 That means these noise are made by Galactic Federation of Light letting people know something is going to happen (the Earth change). Lightning is the attacks from Galactic Federation of Light. Right now, the area I am living (Tennessee Valley area) are under attack and being cleansed. God will NOT pour out His wrath on His children! Scripture tells us that we are not appointed to His wrath! Messiah will come for His bride BEFORE that happens! They sound like weather sirens. They are tested every month in MN and have been for years. However, it seems siren testing is increasing around the globe and in unusual places and at unusual times. No doubt, we’re in a season of enormous change.